A miniature horse, three miniature donkeys, two llamas, six alpacas, seven geese, four rescue dogs, and two or more cats all reside at this Eureka Springs Resort. What’s missing from this list? Chickens, of course! 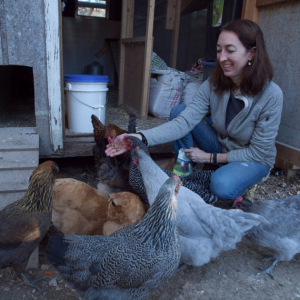 The owner, Faryl Kaye, couldn’t resist and last spring added sixteen baby chicks. We’d like to be able to show you photograph’s of these adorable babies but we weren’t very successful taking their pictures. They always seemed to be going the other direction. 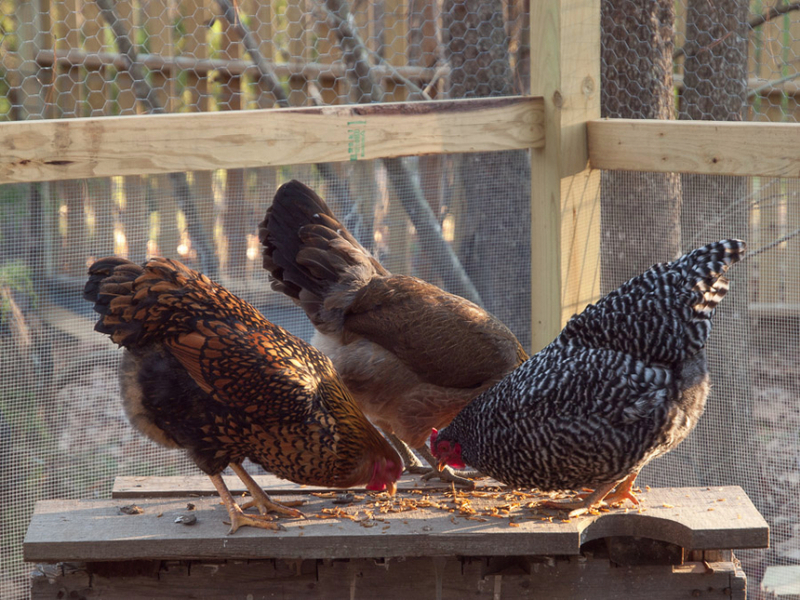 Why did we add chickens to our Lake Lucerne Resort? Eggs, of course. 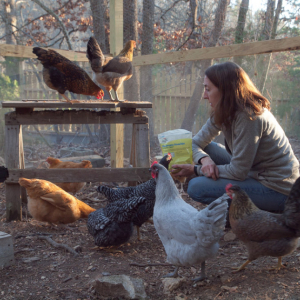 On your next visit to our Eureka Springs resort you may be able to purchase a six-pack of our farm fresh eggs. 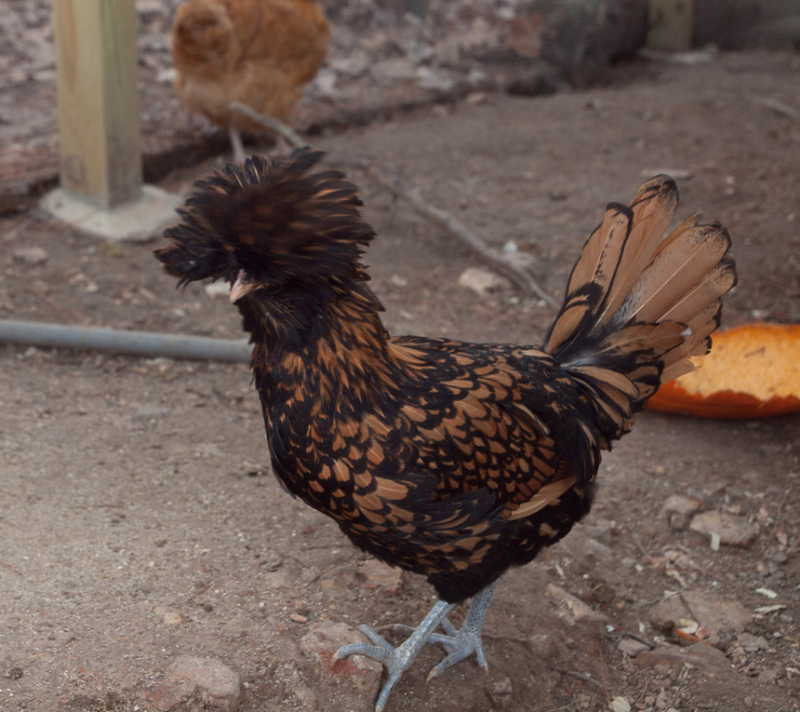 The Lake Lucerne Resort & Ranch chickens are an interesting assortment of breeds. Each selected for their very special qualities and various colors of their eggs. We have two different types of Orpington’s—Buff and Lavender. They are very affectionate, quiet and docile. They are loosely feathered so they appear to be heavier than they actually are. Out of the entire flock these stand out as being the ones you want to make friends with. 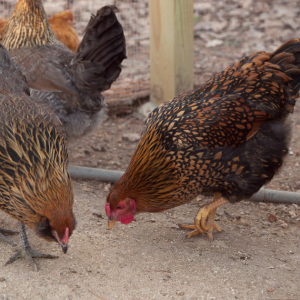 The Dominiques are one of the first breed of chickens established in America. Their feathers are black and white with an outstanding rose- colored comb. As interesting as they look their eggs are just a classic brown medium sized egg. 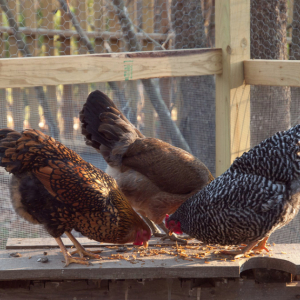 The Barred Plymouth Rocks are a favorite because of their friendly personalities. They want to be part of the action all the time. They like the Dominiques have black and white feathers with a single red comb. 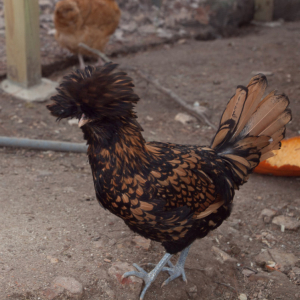 The Golden Laced Wyandotte have very unique reddish gold colored feathers edged in black. We’re discovering the more unique the feather the more basic the egg. 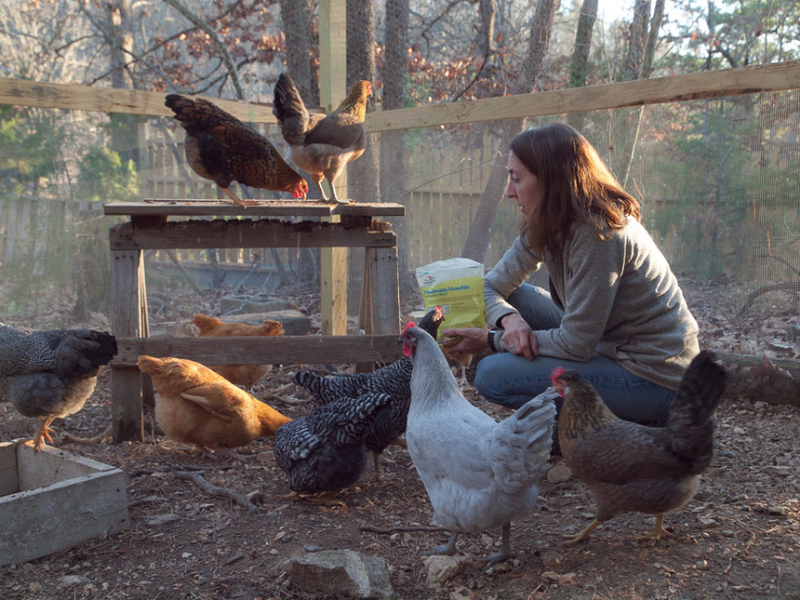 These girls lay just plain basic brown eggs. 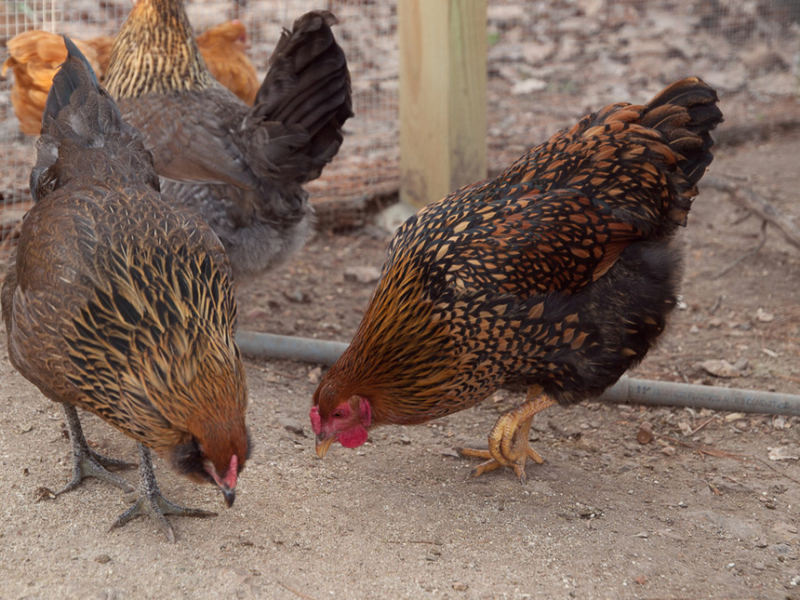 Welsummers are of Dutch origin and are sought after for their deep dark reddish brown eggs with brown speckles. They have gained popularity since they have been featured on the Kellogg’s Cornflake cereal box. Cream Legbar are the busiest girls in the hen house. They want to be part of what’s happening. Not as dramatic looking as some of the other hens but their eggs make up for it. The eggs are a gorgeous shade of blue. They have recently been brought to the US from the UK. 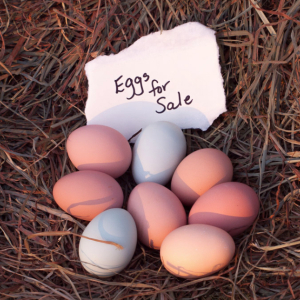 The name says it all…Easter Eggers. 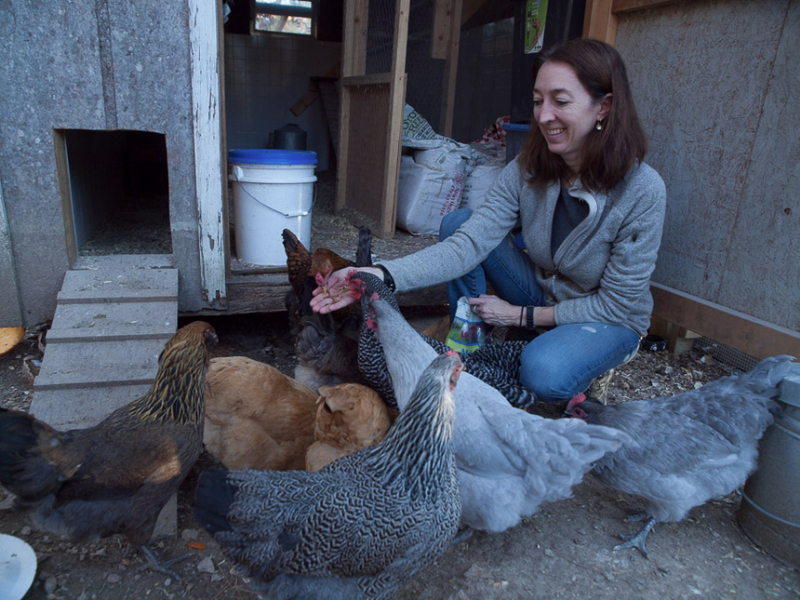 The hens come in an assortment of colors as well as their eggs—from olive green to turquoise blue. Once in a while they just might lay a rose colored egg. 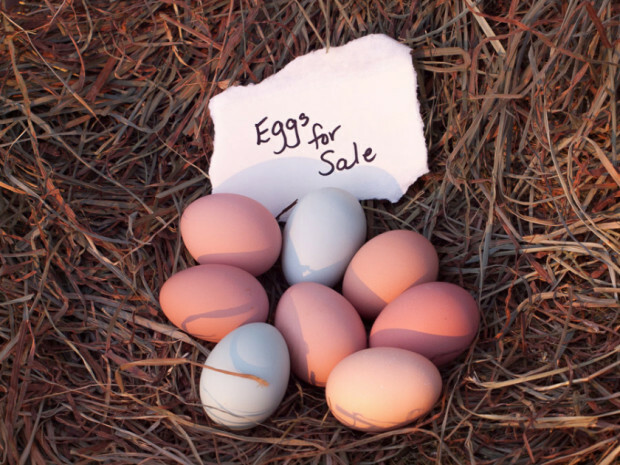 It’s great fun to go to the nest to collect the eggs because you never know what you may find. And the last variety we purchased are the Golden Laced Polish—a breed that has been around since the 16th Century. They are considered an ornamental breed because of the plumage on the top of their heads. They lay a basic white egg but make up for it in their strange antics, which could happen because they can’t see where they are going. Never did we dream chickens would be so much fun. Everyone always claims they are stupid, but we find the chickens at Lake Lucerne Resort and Ranch are very bright!